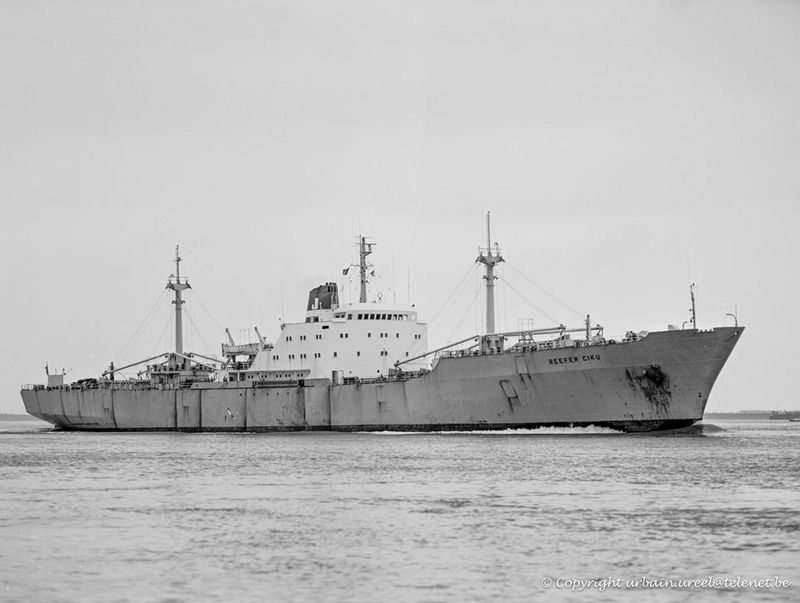 Steel single screw “Drammen” motor vessel built in 1973 by Drammen Slip & Verksted Yard Drammen , Norway (Yard No 76) as Refrigerated Cargo ship. 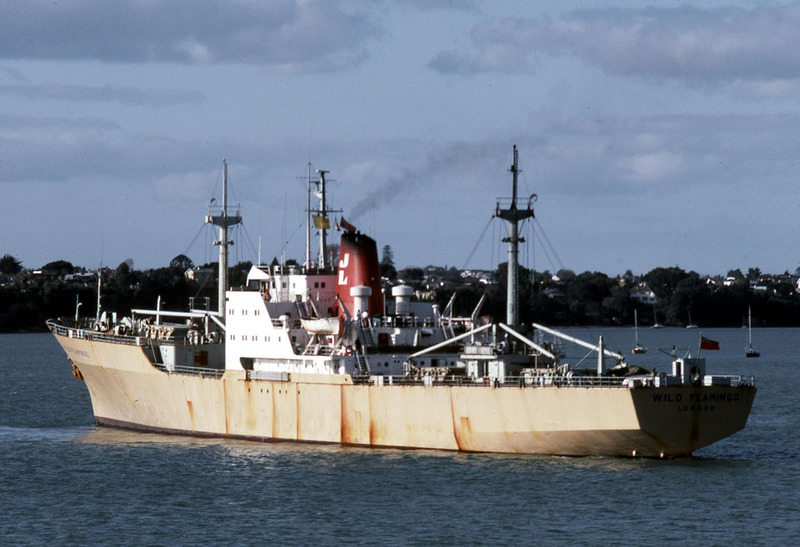 June 21st 1973: Launched by Mrs Peggy Karasch, wife of the Deputy Managing Director of P&O Australia, Mr F M Karasch. 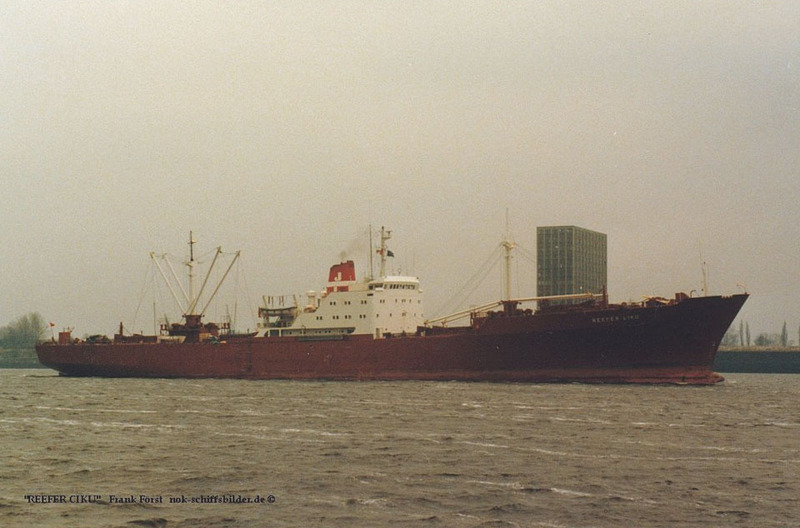 October 25th 1973: Delivered as WILD FLAMINGO for Federal Steam Navigation Company Ltd. She was the fifth of six ships built as P&O’s share in Lauritzen Peninsular Reefers. 1974: Maiden voyage South America/Europe. 1976: Managers restyled P&O Strath Services. 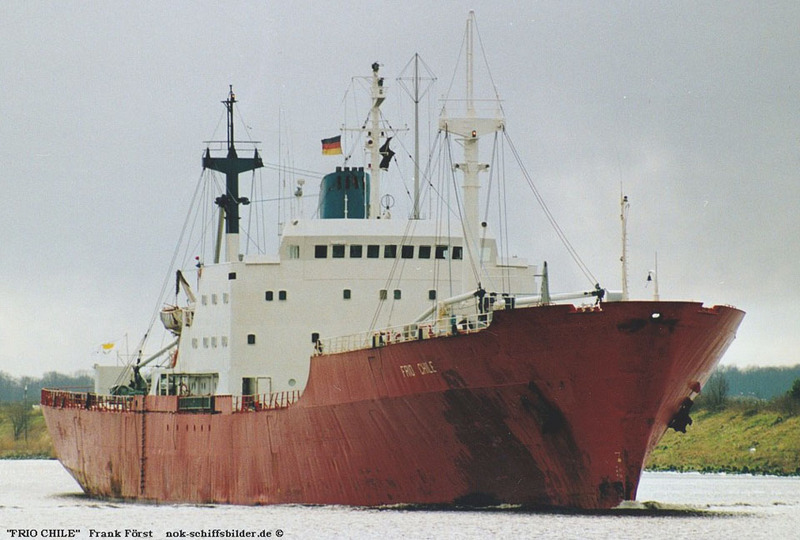 1983: P&O announces its withdrawal from Lauritzen Peninsular Reefers. 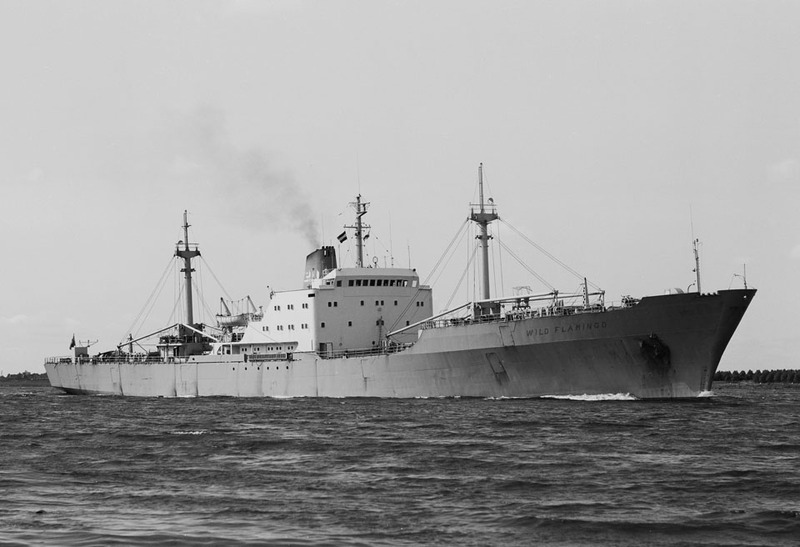 May 25th 1983: Sold to Sembawang Reefer Lines (Ciku) Ltd, Singapore (Sembawang Johnson Shipmanagement Pte Ltd) and renamed REEFER CIKU. 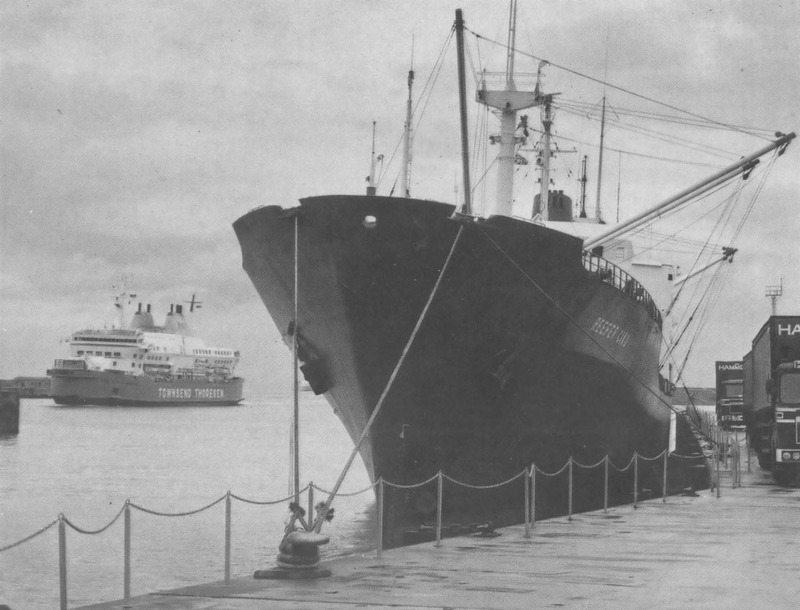 1987 (Summer): Became the first vessel to use Pier D (Eastern Docks, Dover) commercially, arriving from Cyprus with 1,846 tonnes of grapes – a quarter of a million trays -. 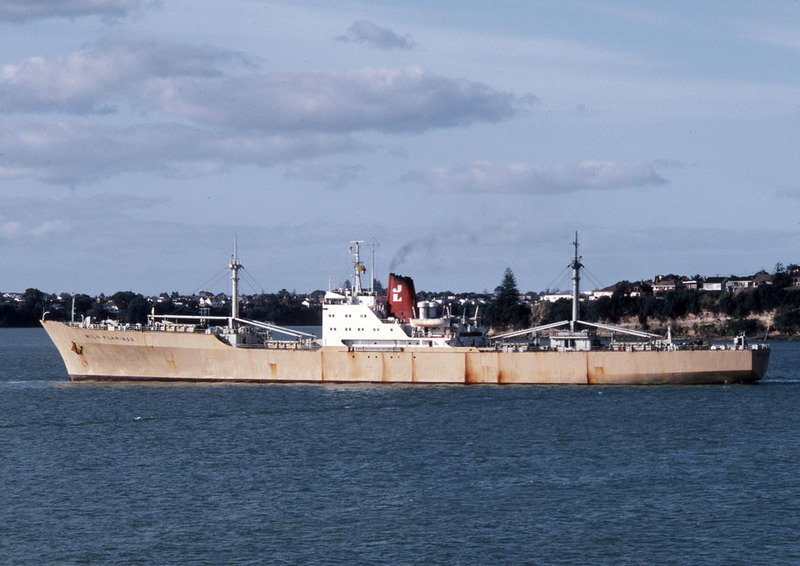 November 27th 1987: Sold to Bulkserve Shipping Co Ltd, Limassol (Enias Shipping Co SA, managers) and renamed FRIO CHILE. 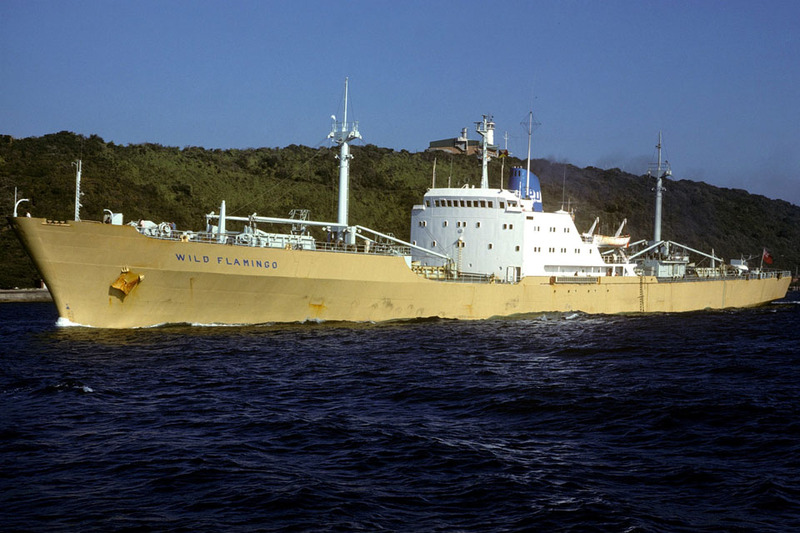 1990: Transferred to Pineforest Shipping Co Ltd, Limassol (Lomar Shipping Ltd, managers). 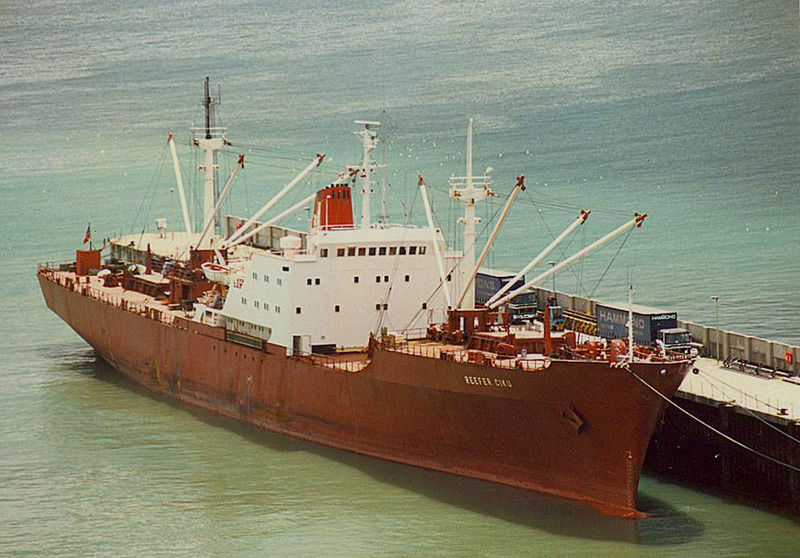 1993: Transferred to Pacific-Sea Maritime Corp, Panama and renamed LAS PALMAS. 1994: Transferred to Pineforest Shipping Co Ltd, Limassol and renamed FRIO CHILE. 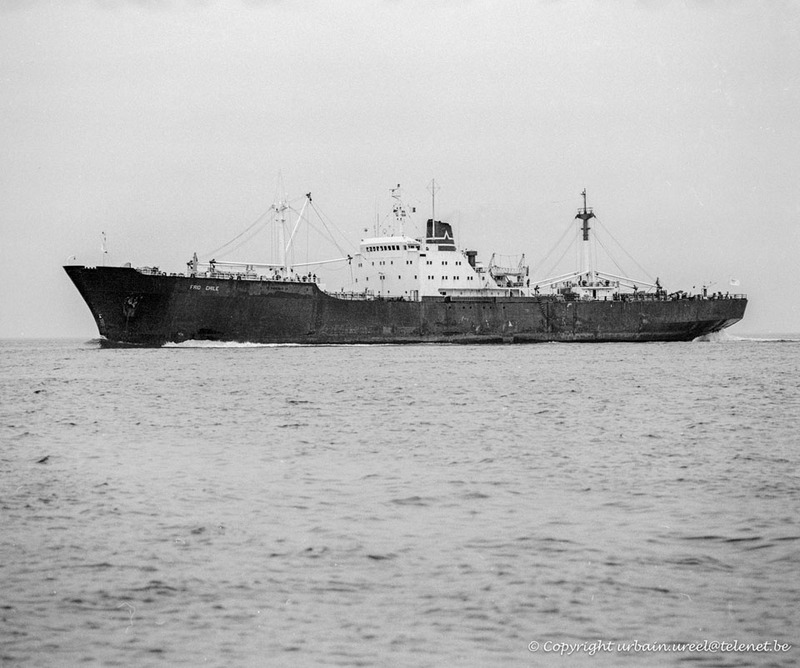 January 4th 1995: Abandoned off Honshu in 38°22’N-150°58’E after taking on water when bound Callao/Hachinohe. All information is believed to be correct and no responsibility is accepted for any errors or omissions. All items included in this article are subject to © copyright. We would like to take this opportunity of thanking: Donaldb (Shipspotting.com), Frank Först, Mike Griffiths, Chris Howell and Urbain Ureel for their assistance in producing this feature.